Back in January we filmed our first big Facebook Live of 2018, and boy, was it one for the records! 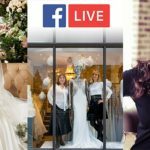 Live-broadcasting from one of the world’s most gorgeous bridal boutiques, London’s Mirror Mirror (a much-loved Recommended Vendor), I was lucky enough to meet with co-founders Maria and Jane, sisters-in-law who started their business 29 years ago out of a shared passion for artisan bridal fashion. 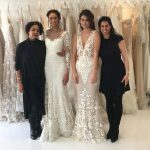 These two inspirational ladies, who I got to know after noticing that so many of our STG Real Brides bought their gowns from Mirror Mirror, are both designers and stockists of some of the hottest international bridal designers, including Nurit Hen, Hayley Paige, YolanCris, Gemy Maalouf, and Atelier Pronovias. 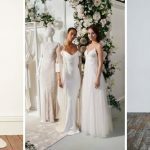 So who better to talk us through the top luxury wedding dress trends for 2018/19? 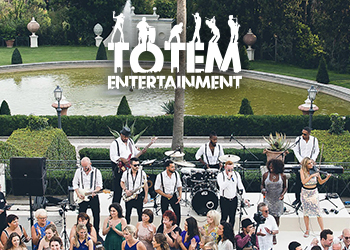 We had the amazing Roberta Facchini Photography on hand to sneak some behind-the-scenes photos. 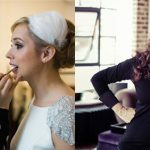 She was a joy to work with, and I’m absolutely delighted to share the images she snapped with you! The wonderful Andrea Ellsby did makeup for our two lovely models, Leonie and Dani, and me. She made me feel absolutely stunning and was so lovely to work with. Maria and Jane started off showing us some stunning dresses from their own Mirror Mirror Couture collection, ranging in style from ethereal princess to sleek and chic to a trendy high-low two piece ensemble, from sleek and body conscious to sweet and romantic. 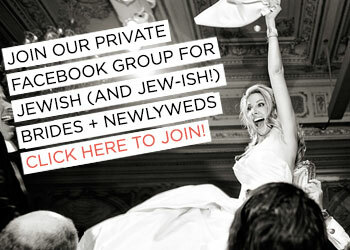 As Jewish wedding pros, Maria and Jane also showed us their wide array of chuppah cover-up options, mindful of the fact that so many Jewish brides need to cover their shoulders for the ceremony and don a more demure look generally for their ceremony but may want something a little sexier for the reception. In addition to the standard lace jackets and toppers — which, let’s be real, are anything but standard at Mirror Mirror — this season Maria and Jane are calling it for the cape. 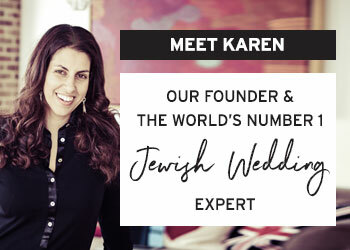 From show-stopping full-length numbers to give your gown that ethereal fairy princess vibe to elegant ’30s-style capelets with just enough length to keep your shoulders under wraps for the chuppah, there are tons of options. On top of being a beautiful and unique way to stay covered during the ceremony, capes are also a great way to get two very different looks out of one dress. One of our lovely live viewers deemed 2018 the year of the cape, and I think she’s onto something! 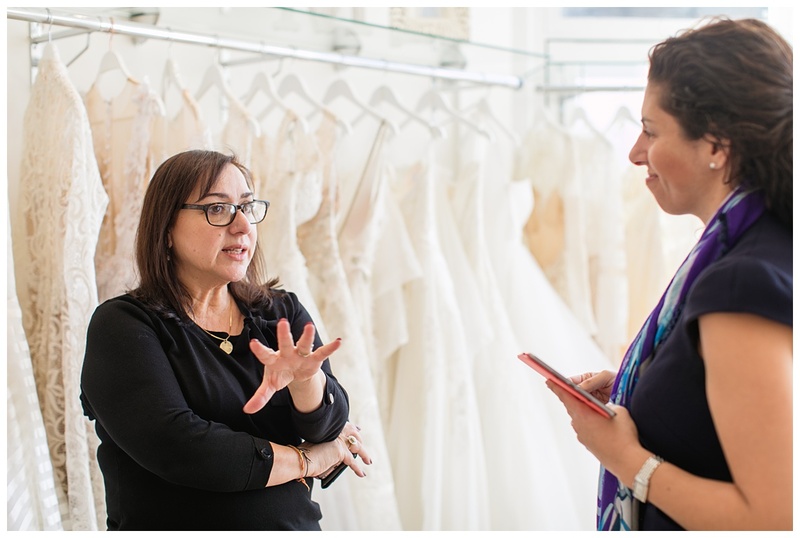 We also discussed the ways Maria and Jane meet the needs of their more religious brides, who might need more than a cape to meet their modesty standards. 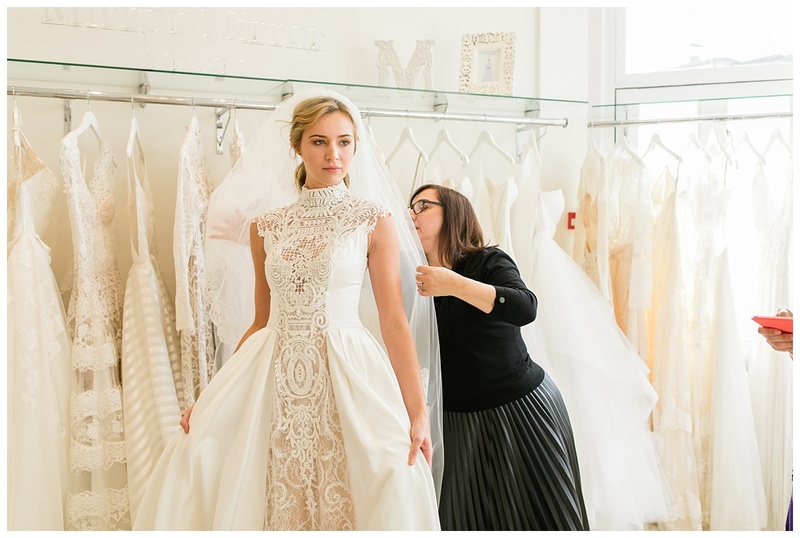 They showed us some wonderfully romantic styles with long sleeves and high necklines, and also discussed ways they can modify their gowns to lengthen sleeves, add lining, boost necklines, etc. — all done on their London premises! They also noted that gowns are trending more modest lately, in a departure from the days when plunging necklines and sheer panels were all the rage. 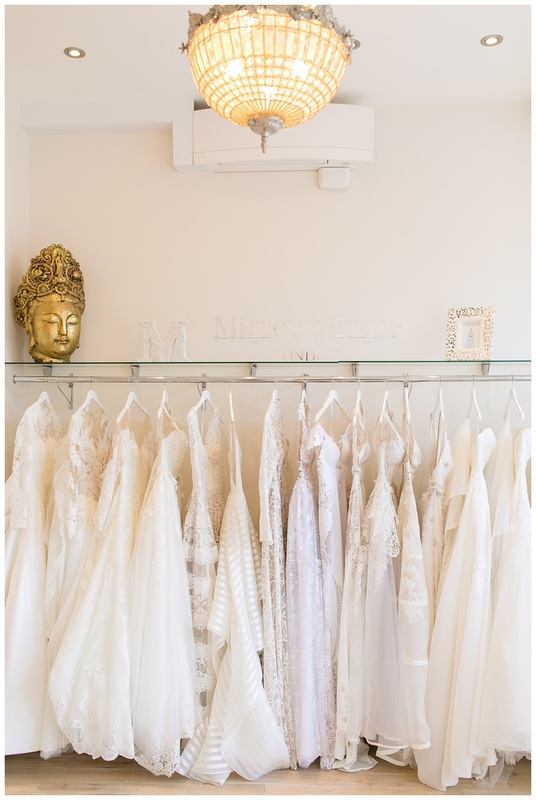 Shifting to Mirror Mirror’s diverse collection of international designers — they carry 10 in total — we saw dresses from Nurit Hen, Hayley Paige, YolanCris, Gemy Maalouf, and Atelier Pronovias! We also got to see lots of lovely veil options, which are another wonderful way to create a special, extra romantic ceremony look. Speaking of which, members of our VIB Club are eligible for a £200 on accessory purchases over £400 from Mirror Mirror Couture! We capped things off with a tour of Mirror Mirror’s lovely atelier, which stretches across four (!) 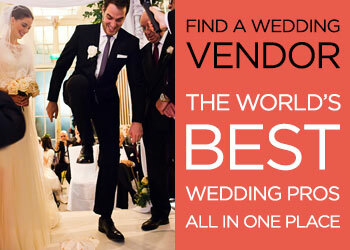 store fronts — plenty of space for the private dressing rooms they provide for each bride, plus the design workroom where the magic happens! 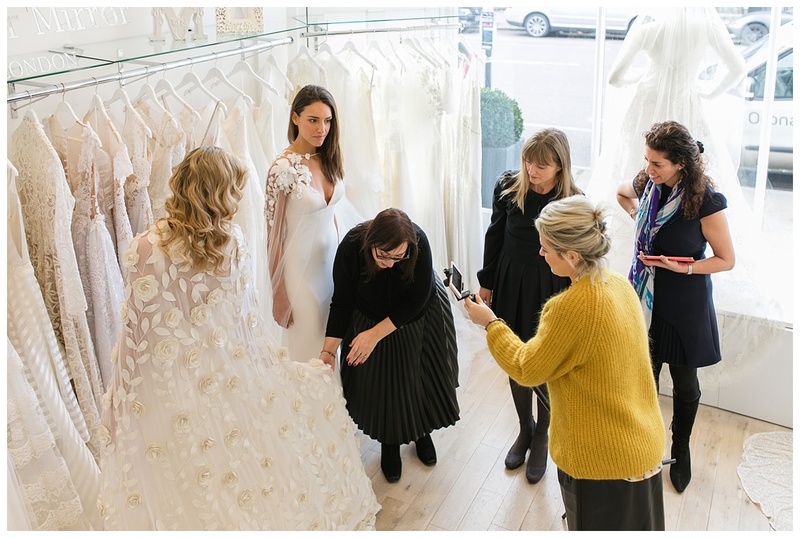 We got to see watch some of the exceptional staff tailors at work as they sewed Mirror Mirror dresses start to finish and altered others to each bride’s specifications, a real treat. 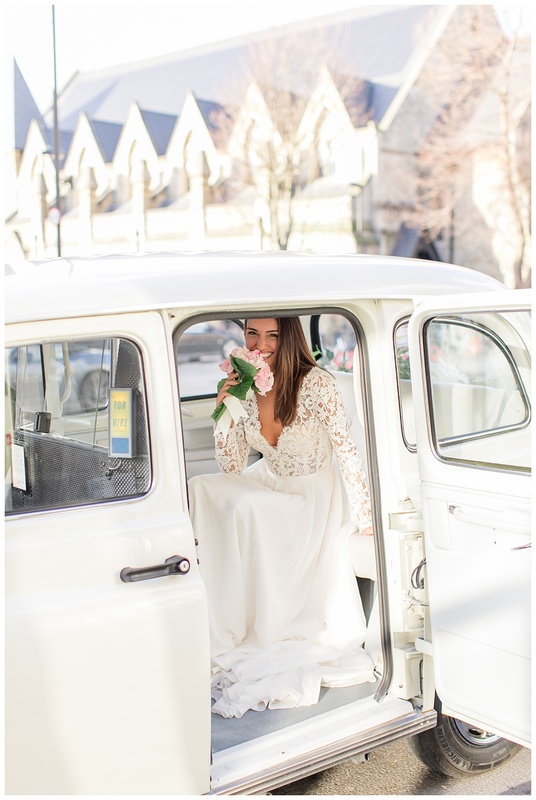 And then we had a final look at a lovely white cab from The London Wedding Cab Company – with plenty of space so as not to smush your dress on the day! 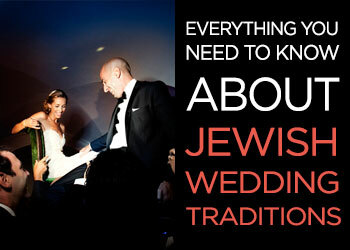 Located in Angel, the shop is super convenient to both North London and the City. But even if you’re not close by, Mirror Mirror is absolutely worth the trip — even from another country; this boutique is seriously that good! 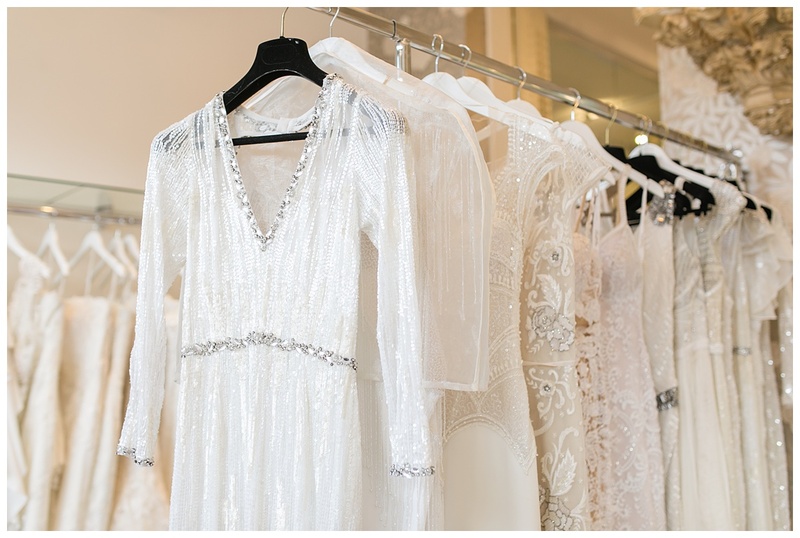 Whatever your personal style, modesty standards, or body type, Mirror Mirror is THE place to find the dress of your dreams. If you missed the live show, you can watch the replay below. Make sure you like the Smashing The Glass Facebook page to be notified of all future shows! 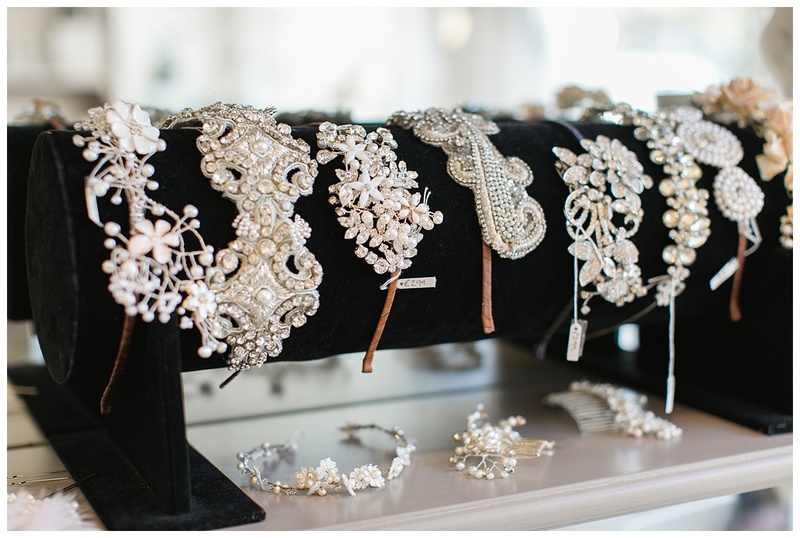 30:15 – What is a trunk show? 34:45 – Can you wear a veil and a cape? 44:00 – How far would you travel to get THE dress?